Aspen Heating and Cooling, Inc. Comment: I would like to get an estimate for HVAC servicing twice a year. Comment: We bought a house that has a new central air conditioner that has not been installed. It has been placed on a concrete pad that is level. We need the box built that puts the coil on top of the furnace. We then need the copper tubing run to the outside of the home and then soldered to the furnace and the outdoor unit. We have the copper tubing. The 220 is available outside. We just need the thermostat wired to the air conditioning unit outside. B&C Ten Air HVAC Systems Inc.
41441 W. 11 Mile Rd. Jackson HVAC & Air Conditioning Contractors are rated 4.82 out of 5 based on 32 reviews of 4 pros. 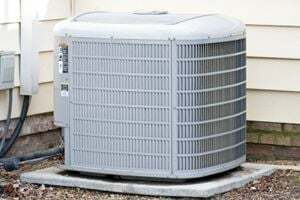 Not Looking for Air Conditioning Contractors in Jackson, MI?